This website is being developed to showcase how The Lost Words book is inspiring people of all ages in Dorset to seek, find and speak about the natural world around them. Please return to the website to see how it grows over the coming months. The Lost Words was created by Robert MacFarlane and Jackie Morris in October 2017 to celebrate once-common “nature” words – from acorn and wren, to conker and dandelion – that were dropped from the Oxford Junior Dictionary some ten years before. You can learn more about the words which were taken out of the Oxford Junior Dictionary in 2007 here. The book takes twenty of the words that have been falling out of use amongst children - such as adder, kingfisher and bramble - and brings them back to life, through the magical paintings of Jackie Morris and the 'spell poems' of Robert Macfarlane. 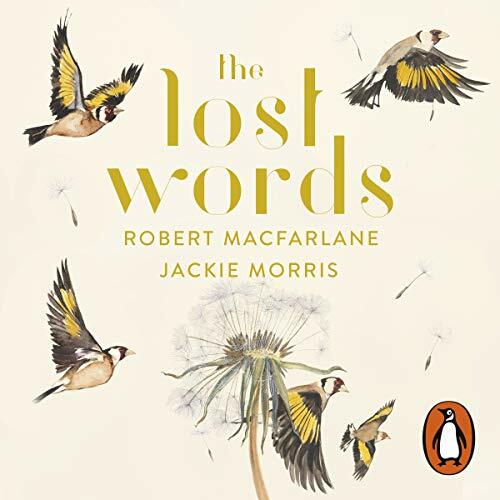 The Lost Words is a joyful celebration of nature words and the natural world they invoke and is set out in an ideal way to share these words across the generations. Words allow children to give things names, to share stories and memories. Without the right words we cannot name, love, or - ultimately – care for these things. We hope you can help us to build this website into a resource of Dorset’s Lost Words, names and sayings that seem to be falling out of use. By building a lexicon of the words and stories related to the places, landscapes and natural world of Dorset that are important to you, we hope such words can be kept alive, used and enjoyed by generations to come. You can use the Contribute button to submit your own Lost Words, spell-poems and illustrations so that we can add these to the website for others to enjoy. Our Stories pages include news about The Lost Words initiative in Dorset (and sometimes elsewhere), how the books are being used in schools and visitor centres to encourage children to seek, find and speak about the natural world around them, and in Memory Cafes for those living with dementia and related illnesses. If you have any Dorset stories or tales, words or sayings, that you feel are at risk of being lost and that you would like us to share, then please send them to us using the Contribute button or the Contact form. We look forward to hearing from you and to sharing your suggestions with others through this website. All the state funded schools in the county – that’s all infant, junior, primary, middle, secondary and special schools and learning centres in Dorset – a total of 174 schools. You can learn more about where the books have landed on our Recipients pages or by clicking on the pins on the Lost Words Dorset map. We are hugely grateful for the many individuals, businesses and organisations that have supported The Lost Words initiative in Dorset from the start. None of this would have been possible without their ongoing help, support and encouragement. Thank you. You can learn more about how we have been helped on the Supporters pages or by clicking on the pins on the Lost Words Dorset map. You can see some of the published reviews of The Lost Words here. In this lovely film, Robert Macfarlane and Jackie Morris discuss their concerns about the loss of connections between children and the natural world around them and how this, in time, led to The Lost Words. "This is a trick I am trying to learn; how to bring an otter, out from the mind, onto paper, using the words of the otter spell by Robert ..."
This film by Robert Macfarlane, author of The Lost Words, emphasises the importance of children spending time outdoors [5/12/2017]. Robert Macfarlane on The Lost Words: The Waterstones Interview. See here where like-minded campaigns have taken to the wing and provided copies of The Lost Words to schools in towns, cities, counties and countries across the UK. Learn here about the teaching resources available from the John Muir Trust and from Penguin Books to help you explore The Lost Words.